Jennifer Connelly | Dr. Saint, D.D.S. As a Christian, I became very fond with the book of Genesis. It introduces God, and how he created the heavens and the Earth, Adam and Eve, the Garden of Eden, Cain killing Abel, and much more. But there is one story that is my favorite throughout the Bible. It’s about how God wants to sweep most of humanity because of how the Earth is so corrupt with violence. He calls upon Noah, a righteous man, to build an ark for him, his family, and all the animals (two of each species – male and female) so they can all be safe from the Flood. Now, in 2014, we have a movie based on this magnificent tale. 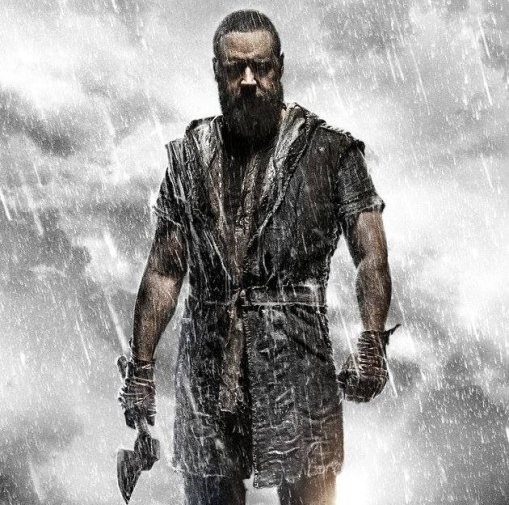 Noah received a lot of controversy before the movie came out (like The Passion of the Christ ten years ago). Darren Aronofsky, a self-described atheist, the director of The Wrestler and Black Swan (two movies I have yet to see), describes this movie as the “least biblical biblical movie ever made”. Even though I had high hopes for Noah, I went in with an open mind and tried to ignore people who say the movie doesn’t follow the original source material at all. What did I get? Although different from the actual story, I appreciated Aronofsky’s fantasy that is visually breathtaking, well-acted, and takes the religious themes very seriously. Noah (Russell Crowe) is portrayed as a flawed protagonist. At six hundred years of age, he begins to have nightmares of the future, saving humans and protecting Earth the best he could. His grandfather Methusaleh (the great Anthony Hopkins) gives him a seed from the Garden of Eden as the only hope to save the innocent. Not only does he work hard to save himself and the animals, but also his wife Naameh (Jennifer Connelly), his three sons (Logan Lerman, Douglas Booth, Leo McHugh Carroll), and the orphan Ila (Emma Watson). His enemies involve Tubal-Cain (the evil Ray Winstone) and his 200 men who prepare to take over the ark once the rain begins to pour. This leads to an action sequence between them and the fallen angels known as the Watchers in the form of rock giants (reminiscent to Treebeard and the Ents from The Lord of the Rings: The Two Towers). Aronofsky and his co-writer Ira Handel create something flawed yet visually breathtaking. It involves themes including sin, caring for creation, and how justice can bring to the good and wicked. Russell Crowe, Jennifer Connelly, Anthony Hopkins, Emma Watson, and among others deliver really good performances. The backdrops of Iceland, the special effects (a mix of CGI animation and some stop-motion), and the production values are exquisite. I couldn’t ask for a better film score by no other than Clint Mansell. Noah may divide audiences, I would suggest everybody to see the movie for themselves.